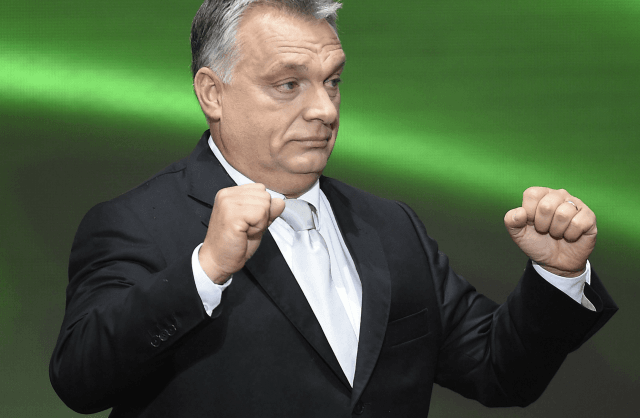 Hungarian Prime Minister Viktor Orbán said that after decades of being under the control of “anti-Christian, internationalist powers” the country needs a government “based on the teachings of Christ” which “made Europe and the Hungarians great”. Speaking at a celebratory event marking the 500th anniversary of the Reformation, the conservative Fidesz party leader said that it was a duty of his government to protect “the ways of life that have their roots in Christianity”, including human dignity, the family, the nation, and faith communities, adding that Christian Europe needs a spiritual and intellectual renewal. Alluding to the country’s defiance against interference from open-borders campaigner George Soros and the European Union, the prime minister added that “although we need to stand in the way of major forces – even global forces – we can still stand, and we are still standing on our feet”. Hungary is being assailed by the EU over the country’s stand on the bloc’s forced migrant relocation plans, and its new legal measures for greater transparency of foreign influenced charities and universities – the latter two directly affecting the interests of the billionaire speculator Soros, whose plans to flood the continent with one million migrants a year is believed by the Hungarian government to be directly influencing the EU’s migration policy. Last month, fellow former Soviet satellite state Poland celebrated another important date in Christian history, with the Catholic Feast of the Holy Rosary that marked the anniversary of the Battle of Lepanto where “the Christian fleet overcame the Muslim armada, saving Europe from Islamisation”. The anniversary was marked by the Rosary on the Borders prayer campaign that saw over a reported one million Poles pray along the country’s 2,000-mile border for the salvation of their country, the event openly supported by Poland’s prime minister, Beata Szydło.